Always have stitch markers at the ready when you add this stylish yet functional accessory to your wardrobe! 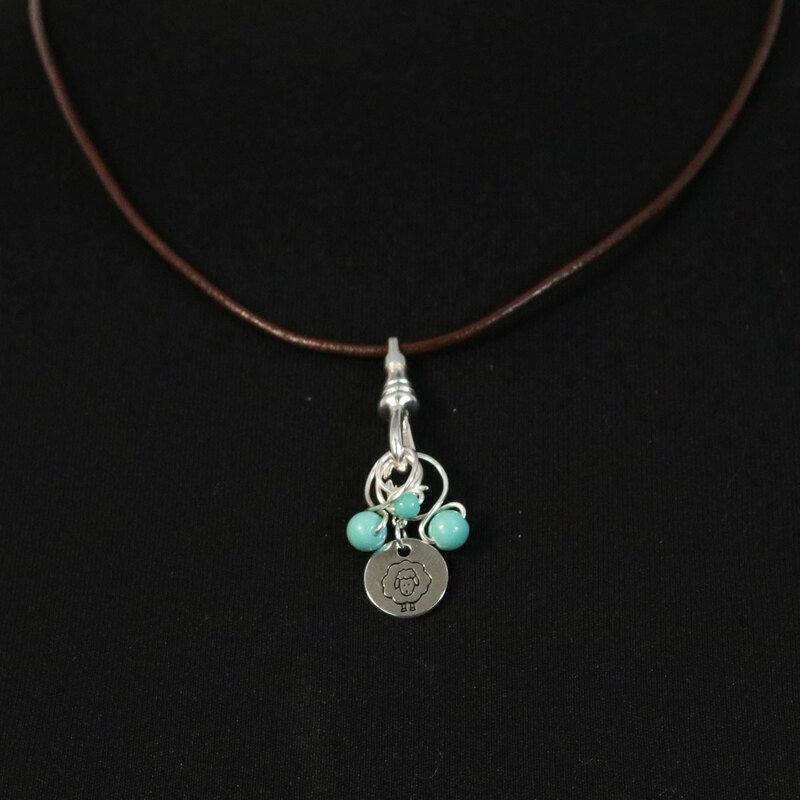 Each adjustable necklace comes with 3 glass bead stitch markers and 1 locking charm, perfect for on-the-go knitting. 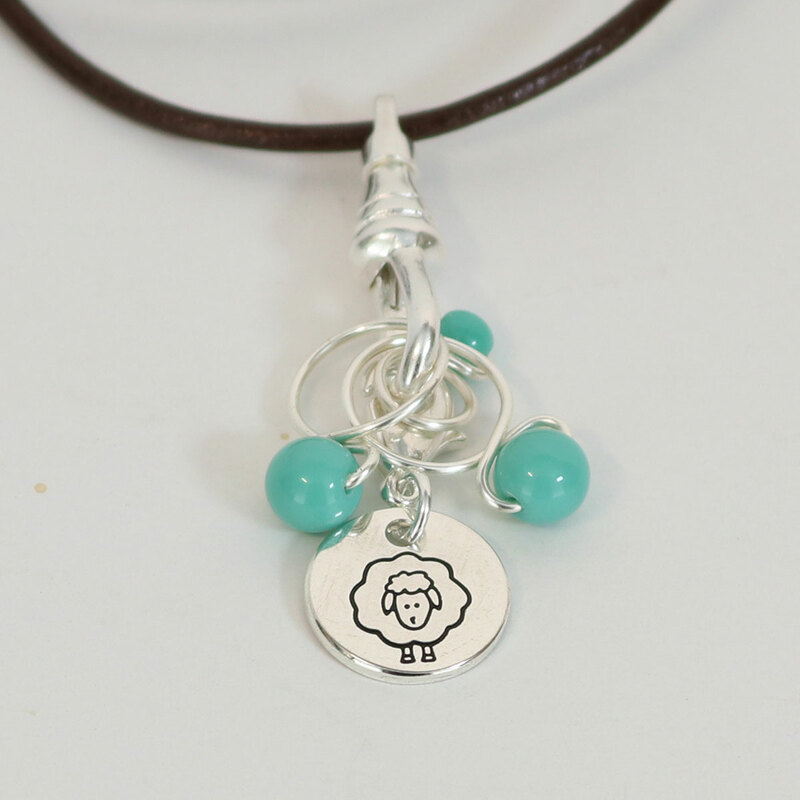 1 adjustable necklace, 3 glass bead stitch makers, and 1 locking charm. Smallest stitch marker will fit up to US size 8, and the two larger stitch markers will fit up to US size 13.
cocoknits Maker's Keep Accessories - Ring Stitch Markers - Multicolored Jumbo and Namaste Maker's Notions - Lotus Stitch Marker Set are both similar accessories: stitch markers.